Walter Brueggemann has noted that God’s sworn covenant oath to David represents “a genuine novum in Israel’s faith.” In the Davidic covenant God is doing something distinctly new with Israel. This part of the essay will examine the crucial role the Davidic covenant played in God’s plan for Israel as both fulfillment of God’s previous’ promises and as an authentic new stage of development, which came to serve as the future eschatological ideal. After God declares his oath to David in 2 Samuel 7, David exclaims, “thou hast shown me a law for humanity” (2 Sam 7:19). 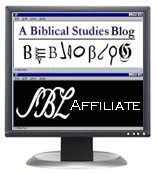 The international character of the “law” associated with the Davidic covenant established at Mt. Zion clearly distinguishes it from the nationalistic pre-occupation of the Torah and the covenant made with Israel through Moses at Sinai. Under Moses, Israel was to be separated from the nations—isolation was especially encouraged by the purity laws. 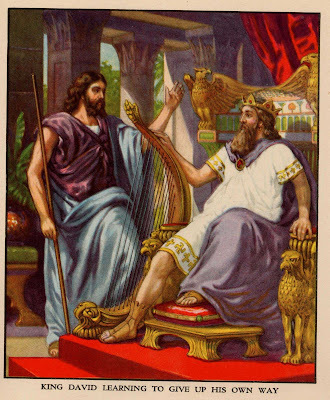 However, the Davidic Empire under the reigns of David and Solomon included the surrounding nations (2 Sam 8:11-12; 10:19; 12:30; 1 Kgs 4:20-21; 10:15). Moreover, the foreign Queen of Sheba came to hear Solomon’s wisdom and praised the God of Israel (1 Kgs 10:1-13). Walter Brueggemann, Theology of the Old Testament: Testimony, Dispute, Advocacy (Minneapolis: Fortress Press, 1997), 605. R. P. Gordon, 1-2 Samuel (Sheffield: JSOT, 1984), 77; Paul Stuhlmacher, Reconciliation, Law, & Righteousness: Essays on Biblical Thoelogy (Philadelphia: Fortress Press, 1986), 115. Hartmut Gese, Essays on Biblical Theology (trans., Keith Crim; Minneapolis: Augsburg Publishing House, 1981), 26, 60-92. Paul R. Williamson, Abraham, Israel and the Nations: The Patriarchal Promise and its Covenantal Development in Genesis (JSOT 315; Sheffield: Sheffield Academic Press, 2000), 264-65: “A strong case could be made for interpreting the Davidic covenant as a divine guarantee that the promise of ‘international blessing’ which God made to Abraham will ultimately be fulfilled through a royal descendant of David.” Walter Kaiser, The Messiah in the Old Testament (Studies in Old Testament Biblical Theology; Grand Rapids: 1995), 78-81; W. J. Beecher, The Prophets and the Promise (Grand Rapids: Baker, 1977), 238. M. Wilcox, “The Promise of the ‘Seed’ in the New Testament and the Targumim” in JSNT 5 (1979): 6; Gordon, 1-2 Samuel, 76-77. Walter Kaiser, “The Blessing of David: A Charter for Humanity,” in The Law and the Prophets (ed., John Skilton; Philadelphia: Presbyterian and Reformed, 1974), 310. Williamson, Abraham, Israel and the Nations, 265.